Happy Halloween – and on to the Writing! Halloween almost entirely snuck up on me this year, and if I didn’t happen to have a collection of masks, I wouldn’t have anything to wear to my office Halloween party today. I’ve been rather more focused on tomorrow–November 1st, and the beginning of National Novel Writing Month, known to its friends as NaNoWriMo. This will be my fifth year of NaNoWriMo, when lots of writers all over the world set themselves a goal to write a 50,000 word novel during the month of November. I’ve hit my word count each year (with some variations in what exactly I’ve been working on), and two of my published novels began as NaNo projects. Mostly, I’ve started a new novel each NaNo, written the bulk of it in November and finished in December. This year I have different plans. As you (and everyone who knows me off-line) may already know, I’ve been working on a Phantom of the Opera retelling for…well, quite a few years! It’s been my back-of-the-brain, work-on-between-other-novels project and it’s so much fun that I’ve never been in a hurry to finish. Along the way, one book turned out to be two, and I wrote upwards of 185,000 words! I’m finally feeling a more pressing itch to actually finish the first draft, so that I can get into the details of revision and all the complex layering of themes and developments that I envision. So that’s the goal for NaNoWriMo this year: 50,000 words or finish the draft, whichever happens first. I honestly don’t know if I have more or less than 50,000 words left in the story, though I don’t think it’s wildly far out in either direction. I plan to write with the usual 50,000 word goal for tracking progress through the month, and will see where I wind up. If you’re doing NaNo too, find me there and we can be NaNo buddies. 🙂 I’ve already posted about my novel plans there. To kick things off, I thought perhaps an excerpt from what I’ve already written. And considering it’s a story about a phantom, it’s even appropriate for Halloween! I stopped in the middle of the auditorium, directly below where the chandelier had hung. The seats and the carpet had been replaced, while the ceiling still didn’t bear looking at. The chandelier, of course, was still absent. I turned slowly in place, looking at the great empty spaces around me, everything quiet and serene while my stomach was in knots and my whole world felt as echoing and empty as the auditorium. I had no reason to think he was here. He hadn’t been at the performance, why should he be here now? Though maybe now, with the auditorium deserted and dim, maybe now was the perfect time for him to be here. “I just wanted to say…” I had no idea what I wanted to say. “…I’m sorry. About how everything turned out. And I don’t believe that you meant—I mean, I don’t think it was all your fault, or that you did all sorts of horrible things, the way everyone else thinks.” That was good, remind him that everyone else was hostile. “I just thought you might want to know, that someone didn’t believe all of it.” Though why should he care about my opinion? The truth was, I wanted him to know, with no idea whether he cared about knowing. I clenched a fold of my skirt between my fingers, looked around the silent theater with my heart pounding. No movement, no sound. “And if you ever wanted, I don’t know, to talk to someone…I’m at the Opera practically all the time, so…” I shrugged, hoping by now that he really wasn’t there, because he’d be sure to think I was a complete idiot. I shook my head and gave up, turning my back to the stage and beginning the long walk up the aisle to the exit. “Wait.” His voice was low and cold, identity unmistakable even in that single word. I froze in place, heart jumping to a faster tempo. I knew he wasn’t dead. I turned slowly back around, to see him exactly where I had expected he would be, standing at the balustrade of Box Five. The black was unrelenting today, from the long cloak to the mask that covered all of his face, except for his eyes and a squared-off notch revealing his mouth and chin. “How do you know my name?” he asked, and I couldn’t tell if his voice seemed loud because of the silence or because he was deliberately projecting. He stared at me for a long, long moment. I could see almost nothing of his expression behind this mask, only the flat line of his mouth, supplemented by the tense set of his shoulders. 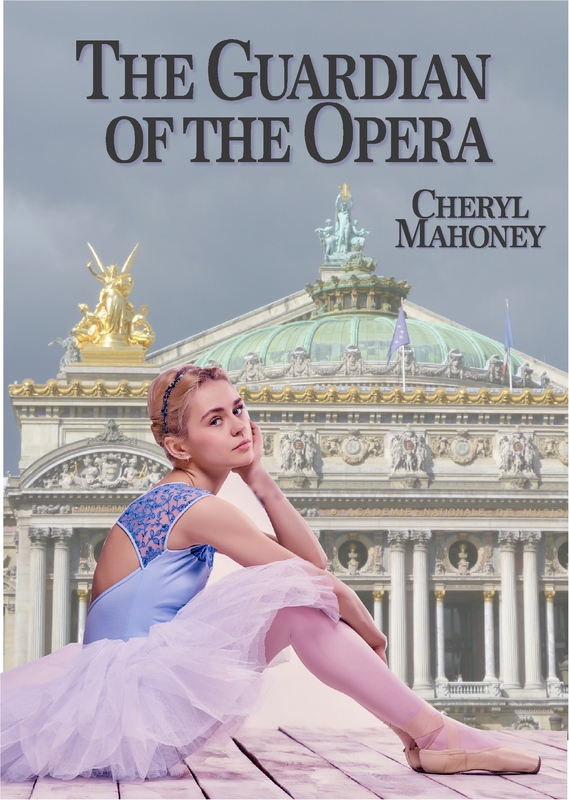 I was suddenly conscious for the first time in an hour that I was still wearing my dance outfit, with only my blue cloak over it—a cloak that, oddly enough, he had paid for, out of those extra francs left in Box Five just after Buquet’s death. I wanted to twitch the cloak farther closed but that would just draw more attention and—and what a ridiculous thing to be thinking of, I should be thinking of something to say but my mind was so full of things that I couldn’t pull up anything coherent at all, could only stare back at him as he stared at me. My whirl of thoughts steadied with something to focus on, and I even dared the smallest of smiles. “You’re the only ghost I know.” Though it could hardly be said that I knew him. Even if I felt like I did. Sounds like a great story to be working on. I want to read the finished product! Best of luck on your latest NaNoWriMo endeavor.